Robert George Brent Jr. known to most as “Bob”, passed away on Oct. 1, 2017 at the age of 66 from natural causes. Born June 28, 1951 to Mercedes (Collier) Brent and Robert George Brent Sr.
Bob was raised in Westwood, California. He joined the U.S. Navy shortly after he graduated from high school and served in the Vietnam War. He received Navy Unit Commendation Medals for being a part of the Apollo 13 Recovery Force. Upon returning home from military service, he began his employment with Collins Pine Lumber Company in Chester, during which time he also attended Lassen College and received an associate degree, majoring in criminal justice. He remained with Collins Pine Lumber Company for over 18 years. Bob then began his federal law enforcement career with department of defense at Sierra Army Depot, Herlong, California. 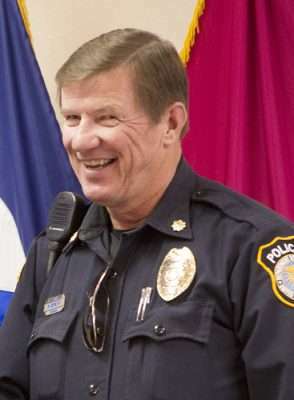 He was the deputy chief of police and served the base for 28 years. During his law enforcement career, he received numerous certifications and commendations. His greatest passion as an officer was educating young people from grades K through 12 about the D.A.R.E. Program (Drug Abuse Resistance Education). He taught at several local schools in South Lassen County for 22 years. He and his wife Shirley made a huge impact in their local community in many ways through their dedication to the children and the D.A.R.E. Program. He will be sorely missed by the communities. He was a member of the California Narcotics Officers Association, a firearms instructor and expert marksman. Bob enjoyed the outdoors and was an avid hunter. During their “Huntingmoon,” he and his wife Shirley shot and brought home a six point Elk from Colorado. He loved to hunt, fish, camp, boat, water ski and snow ski. He enjoyed football and was a huge Raider fan. Bob was a man of intelligence and high integrity. He had a top tier level commitment to family, work and the D.A.R.E program. At work, he was fondly referred to as “By the book Bob.” He was a very kind, supportive, dedicated, sensitive and gentle natured man. The world is a better place because of him and he will be greatly missed by all. His love for family knew no limits or boundaries. He was not just an “In-law,” but became a son, brother and uncle to his wife’s family. Robert “Bob” will be lovingly remembered and missed by his wife, Shirley; his son, Larry, his two grandsons, Nick and Zack; his sister, Shirley; and brother-in-law, Vern Ceaglio; his niece and nephew, Cara and Sean Ceaglio; his aunt, Eve DeVeir; and numerous other relatives. A memorial service for Bob will be held at noon, Friday, Oct. 20 at Community Church, 1400 Numa Road in Susanville, California. A potluck reception will follow. Please join us in celebrating Bob’s life. Mae (Mommae) Richards, 93, of Westwood, passed from this life Saturday, Oct. 7, 2017, at Seneca District Hospital in Chester, with her loving family at her side. Mae has been a full-time resident of Westwood since 1968, the last 14 years residing with Charlie & Rhea Androy. She was born July 7, 1924, in Paullina, Iowa. 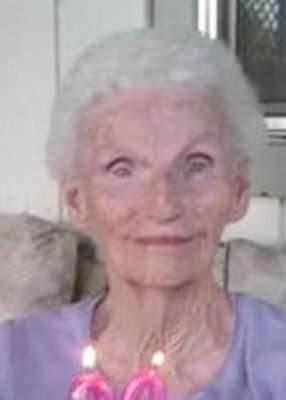 She was retired from Lassen County Welfare Department after 17 years of serving as a homemaker. Mommae loved playing slots or poker on her computer and following all her friends on Facebook. She also loved to read. Mae is survived by two brothers, Chuck (LaVerne) Benner, of Concord and Jim (Eleanor) Benner, of Woodburn, Oregon; sons, Ed (Lynn) Lubanski, of Toms River, New Jersey and Charlie (Rhea) Androy, of Westwood; son-in-law, Leo Whitlock, of Flournoy; grandchildren, Tawnia (Andy) Williams, of Chester, Tom Androy, of Chico, Kristina (Daniel) Gurnee, of Westwood, Thomas (Lesley) Lubanski, of New Jersey, and Lacie (Ben) Willard, of Fort Smith, Arizona; great-grandsons, Bradly, Ethan, and Nolan Gurnee and Kyle, Jake, Ryan, and Clay Lubanski; nieces and nephews.